Check Out These Awesome Indian Music Festivals! Rock, EDM, metal, multi-genre - it's all here. Insider.in brings you the top music festivals in the country. The music scene in India has exploded over the last few years, as have festivals catering to various audiences. From venues in the heart of cities; to some in truly offbeat locations. From indie gigs for everyone to exclusive gigs bringing you a dash of luxury. One thing's for certain, it's definitely an exciting time for live music fans in the country. And if you're visiting India, this is a great chance to check out some fabulous local talent, along with top international acts. The flagship annual music festival is running in its 8th edition this year. It sports the most amazing acts from the music scene who will amaze you with their tunes amidst scenic views. Spend this year’s Easter weekend with a lot of fun and memories. Current Headliners: Shubhangi Joshi Collective, Parikrama, Thaikkudam Bridge and more. Genres: Indie pop, Rock, Folk, Soul, Progressive and more. Tickets: Starting ₹3000, buy here. Who doesn't love music and wine together? The SulaFest in its 12th edition, brought along a weekend full of some delicious wine, exciting music and all of this at the gorgeous Sula Vineyards’ open-air amphitheatre. Genres: Rock, ska, EDM, house, blues, country-swing, soul and more. 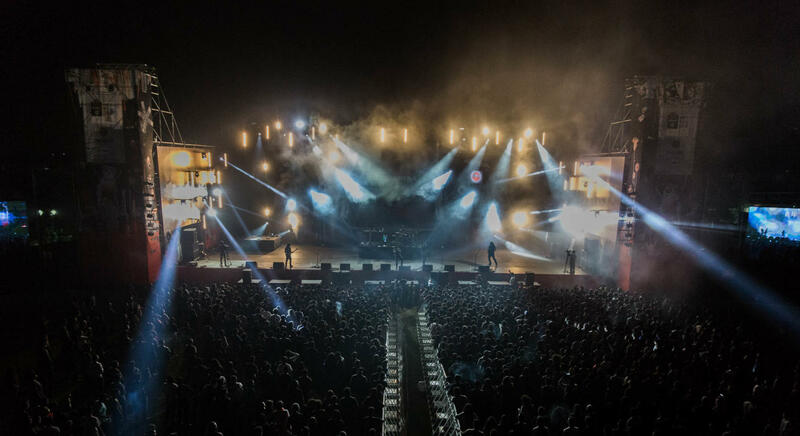 Past Headliners: Nucleya, Infected mushroom, Bloc Party, The Tripp, The Ska Vengers, Jungle, Spencer Maybe, Divine, Shankar Mahadevan among others. The big daddy of music festivals in India! The happiest festival in India boasting of a multitude of artists and activities for a memorable weekend. Celebrated over a span of three days (Pune) and two days (Meghalaya), it also features multiple one-day Express editions in cities across India. One of the most storied and famous festivals, it usually brings with it some of the biggest names from rock, metal, dance, folk, regional music from around the world and has definitely been a trailblazing festival in many ways. Now also known for its emphasis on women's safety, recycling waste and security, along with that unmistakable vibe, it's no surprise that Weekender is one festival which sees massive interest even before the lineup is announced. Stay tuned for the 2019 edition, which will be the festival's 10th year! Past headliners: Steven Wilson, Joe Satriani, Steve Vai, José González, Mark Ronson, Mogwai, Flying Lotus, The Wailers, AR Rahman, Megadeth, Rodrigo y Gabriela, Chase & Status, Asian Dub Foundation, Basement Jaxx, Fear Factory, MUTEMATH, Karnivool, Zero, Swarathma, Pentagram, Shankar Mahadevan, Vishal Bhardwaj, Amit Trivedi, Anoushka Shankar, Meshuggah, TesseracT, God is an Astronaut, The Dillinger Escape Plan, Textures and so many more!